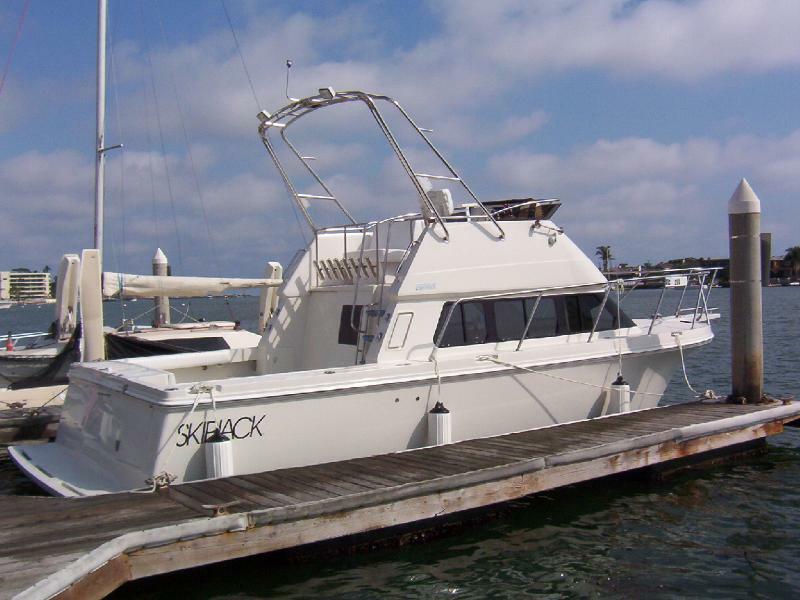 The 30 ft. Skipjack is equipped with one of the best flybridge layouts in the 30 foot range and is ideally suited for fishing or coastal cruising. 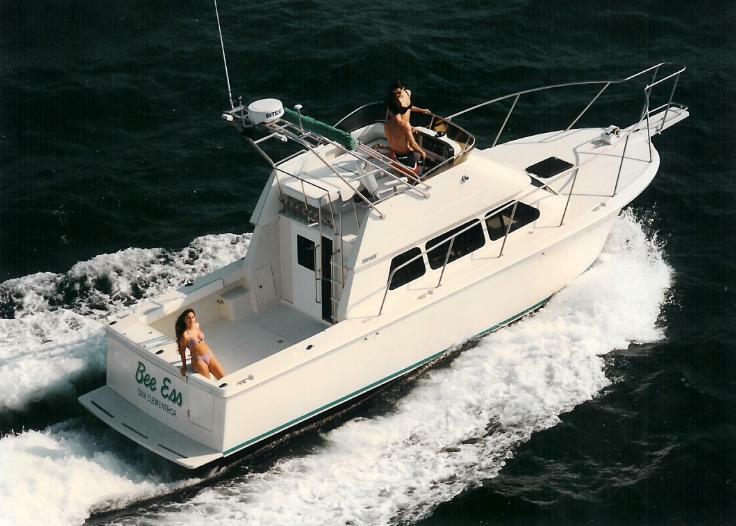 What separates this design over other boats of the same size are the following: Generous unobstructed cockpit (75 sq-ft), wide side decks, thigh high stainless steel hand rails, a very comfortable flybridge with seating for 5 adults, a huge interior with excellent visibility and superb ventilation. 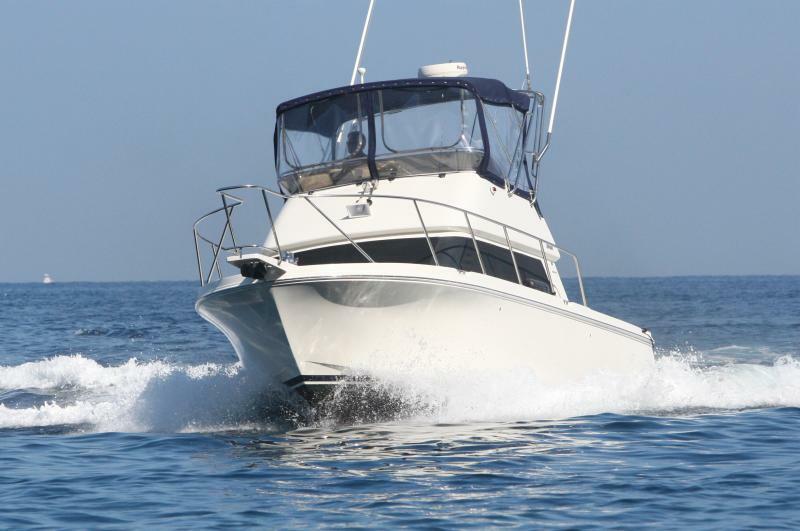 Accommodations for six this is a perfect family cruiser or weekend fishing machine. Engine access is simply located beneath the cockpit sole with the touch of a button the entire deck raises to easily access all machinery. The main salon is spacious and open, a functional Skipjack signature. With forward facing windows and opening side windows there is more than enough natural light and a spectacular view even from the inside. The starboard is a raised L-shaped settee equipped with a high low table that converts into a second sleeping arrangement suitable for two adults. 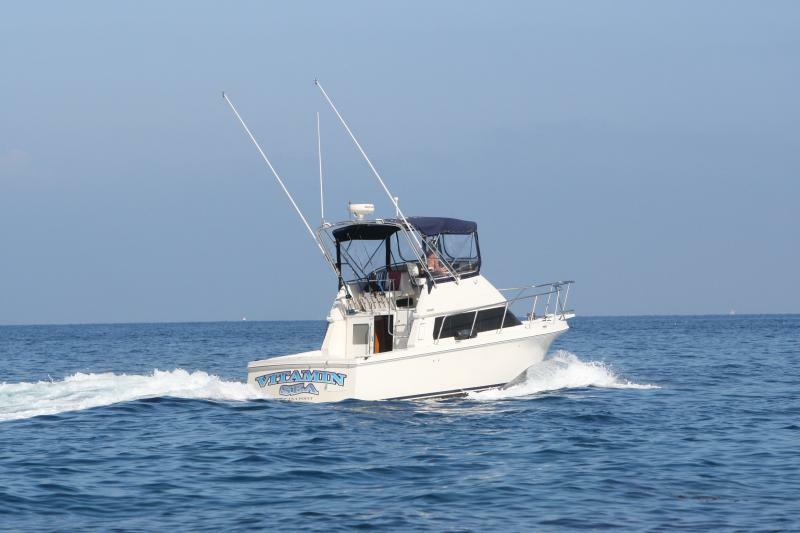 the galley is located to the port side forward of the head and is furnished with Corian counter tops that offer clean, upscale appearance with a deep polished stainless steel galley sink, tow burner Princess electric stove top, built in microwave, and a Norcold refrigerator / Freezer demonstrate that this boat is designed and built to enhance your offshore travels. 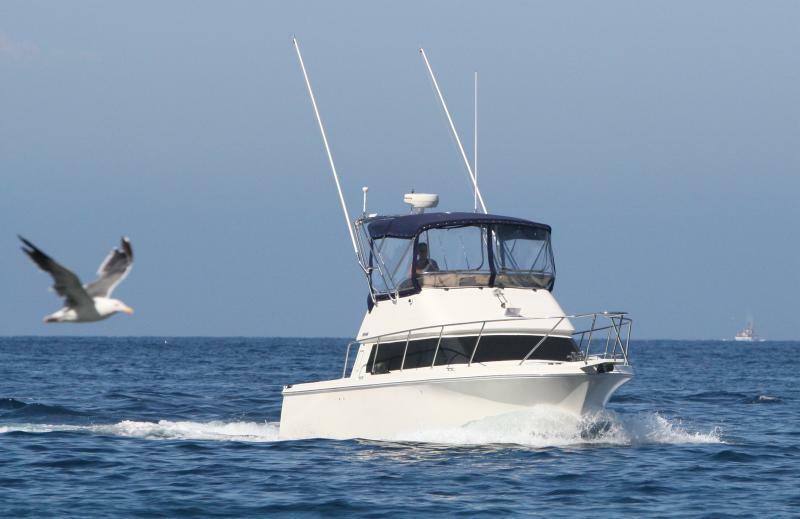 The bow area features a double berth. Direct overhead 12v lighting accentuates the the simplicity and warmth of the berth. A large translucent hatch offers natural light and ventilation. Beneath the berth cushions are subdivided storage areas that offer generous space for bulk goods. 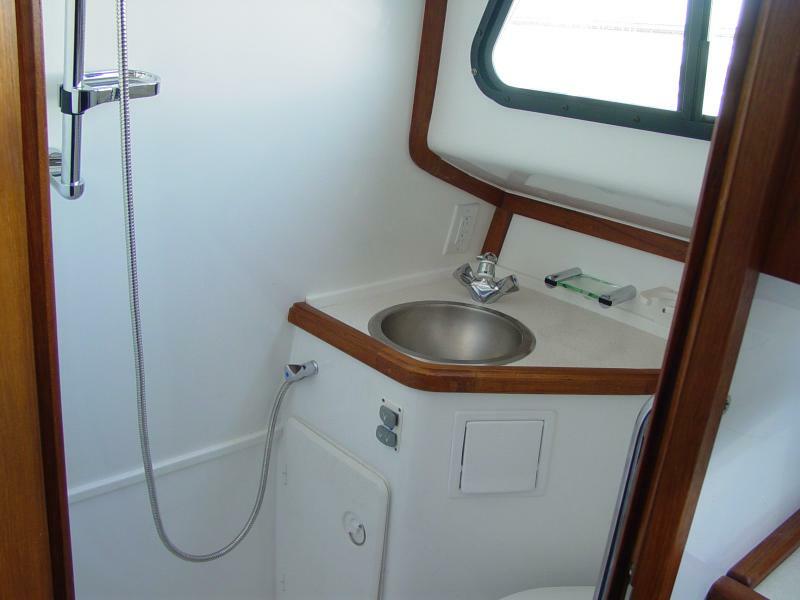 The enclosed head compartment is surprisingly big with shower, vanity, mirror, stainless steel sink and electric toilet for extreme comfort when offshore. With adequate lighting, ventilation and the ease of fiberglass flooring and bulkheads, cleaning is simple. 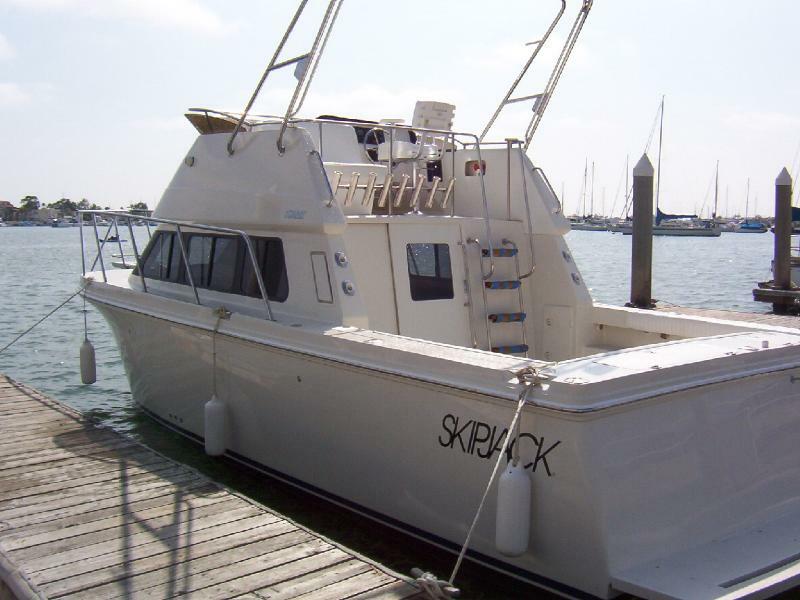 To reserve your 30' Skipjack, you can place an online deposit. Skipjacks are custom made. For $4,000 (fully refundable), we can hold your place in line. This will allow us to help you decide on which options are right for you.